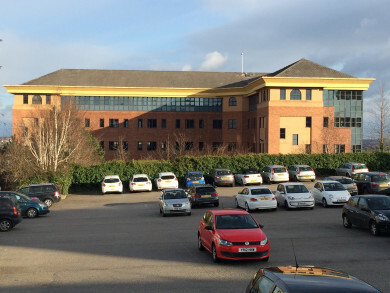 Barnsdales is to provide a package of bespoke property services to the new owners of a government building in Barnsley after acting in the £1.85 million sale of the property. Doncaster-based Empire Property Concepts Ltd will embark on the conversion of Joseph Locke House from offices to residential use early in 2017. The five-storey property of nearly 45,000 square feet will continue to provide opportunities for commercial use until the expiry of leases to existing tenants. Barnsdales will manage the property for Empire and Barnsdales FM will provide facilities management services. In addition, Barnsdales will market the ongoing commercial opportunities at the site. Under managing director Paul Rothwell, Empire has built up a track record of converting offices and refurbishing existing apartments to create new residential opportunities across the region from Leeds to Hull. He added Joseph Locke House to the portfolio by purchasing the building as a partner in Doncaster Property Developments Ltd.
Joseph Locke House was built in 1991 in Heelis Street, Barnsley, as a five floor property plus basement and two car parks with spaces for more than 130 vehicles. Historically the building has housed the Jobcentre and benefits offices and the top two floors and half of the third floor are still occupied by the Department for Work & Pensions, which has a lease until early 2018. Paul said: “We bought Joseph Locke House because it is a big, solid building and we think it would have cost us a lot more to build than we paid for it. It’s in good condition and it’s just right for our type of development. The council has approved a scheme for 170 residential units in double quick time. “The remaining leases expire in early 2018. For now the focus is on securing some short term commercial interest and we will then begin the job of converting it to residential. Jason Barnsdale, managing director of Barnsdales, said the company is working with Empire on a number of other projects including the Turf Tavern pub and residential site in Doncaster town centre. He said: “The Turf Tavern is one of Empire’s smaller ventures with 15 studio rooms and Joseph Locke House is at the other end of the scale. We have a lot of experience in residential and commercial property so these projects are ideal for us.